Primitive is growing! And we are looking for the right mix of people that can combine their skills and ambitions with a love for the products and customers that make Primitive the "go-to" brand for SUV and Crossover accessory parts. Most of our jobs will require a mixed skill set, from being able to talk to customers on the phone, to working computer programs like Quickbooks and PrestaShop, and being able to pitch in to actually manufacture the parts and box them up for delivery. All the while, we put the customer first, while enjoying the benefits of being a small, flexible company. We will talk wage after we both determine that we are a good fit with each other. Take phone calls and answer many emails each day. Must be able to put a friendly face and voice forward for our customers, while answering questions and occasionally getting technical with LIGHTING, LIFTING, and PROTECTING a customer's car with Primitive parts. Ability to write effectively is a must. On a daily basis this person will configure, review, and enter orders generated from the website. They will read, digest, and formulate a concise answer to customer's email questions. 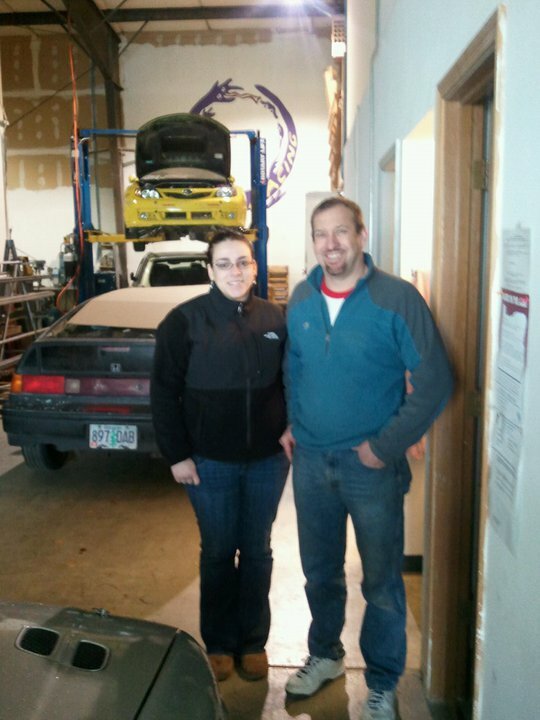 They will help these customers develop a sound gameplan for modifying their car. In the afternoon, this person will assist packing orders, create shipping labels, and make sure orders are complete, correct, and shipped in a timely manner. We pride ourselves in quick response to all customer orders and full communication with the customer each step of the way. Solid knowledge of Excel and Word required, and experience with Quickbooks and any Enterprise Resource Planning software a big plus. Will also assist with maintaining accurate INVENTORY and keeping the WEBSITE up to date. So a creative flair and website design helpful. Working knowledge of CARS, Suspensions, and Subaru's a definite plus, but not required. Same with prior Customer Service work. This person will be the backbone of our daily production. They will configure and TIG weld our famous aluminum skidplates. Must be able to drill, use a jig saw, band saw, belt sander, grinders, and TIG weld in a safe and consistent manner. Product quality will be your responsibility. Must be able to operate independently, read drawings, determine proper product configurations for specific years and model cars. You will also assist in the production of lightbars and lift kits. This will require using several types of mechanical and hydraulic tubing benders, MIG welding, and basic machining skills. Experience in a machine shop or on a lathe is a plus. You will also be packing and shipping the results of your work each afternoon. Must be able to read and include all parts listed on a packing slip or invoice copy. Will also assist with installs and development of new products on SHOP and CUSTOMER cars upon occasion. I WILL be checking to see if you followed the instruction above.